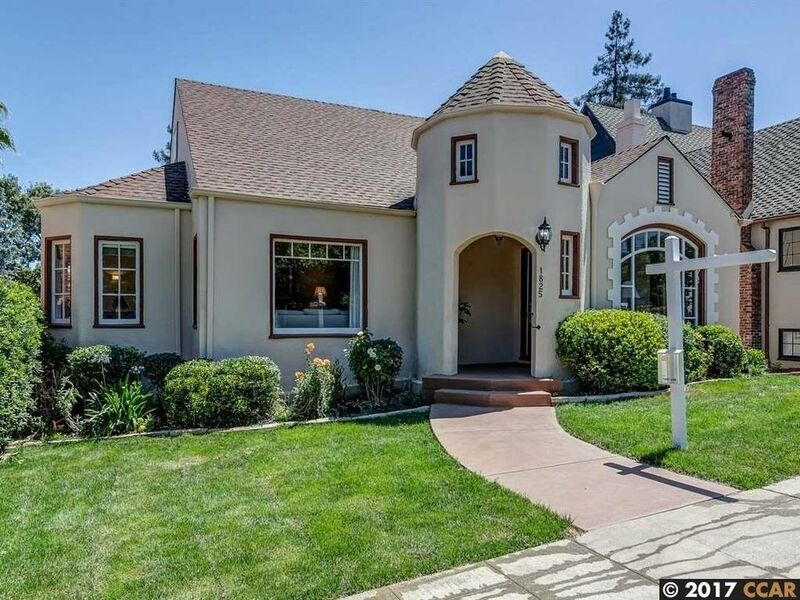 French Normandy style home near historic downtown Martinez! This historical home boasts newly remodeled 1 bed/1 bath in-law quarters downstairs. Finished attic has brand new carpet with 1 bed/1 bath. Recently painted interior and exterior. Main floor has refinished hardwood flooring thru. Original, cozy fireplace (updated to gas) in dining room. Large living room. Bright, sunny breakfast nook. Remodeled kitchen has cherry cabinets, tile countertops, stainless-steel applcs & pantry. Laundry room w/ washer/dryer. Main bathroom has tub and stall shower with refinished original tiles. Crown molding. Master bedroom opens to a deck with view. In-law suite has separate entry, kitchen with granite, newer appliances, 1 bed/1 bath, laundry, and storage in 1K unfinished basement. 8x10 adjacent living space with its own HVAC and electrical. Newer Central Air/Heat HVAC. Tankless waterheater. . Convenient access to FWY, Caltrain and Martinez downtown, marina, restaurants and shops!